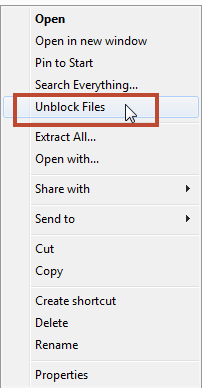 In case you haven’t noticed the following “Unblock” button is missing from Windows 8 file properties. This can be a tad annoying when downloading zip files from the internet and answering security prompt after prompt to get the file loaded. So what did I do? 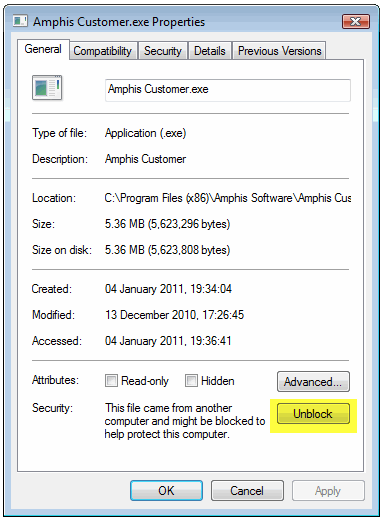 I fixed it by using PowerShell and a quick registry entry. Note: If you don’t want to dig into the registry yourself then you can just download the completed .REG file here. 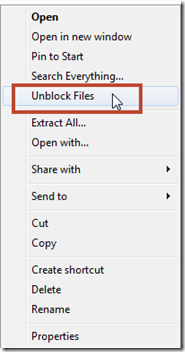 Create a new registry entry in : HKEY_CLASSES_ROOT\*\shell\ and call it powershell now set the Data to be “Unblock Files”. Just copy and paste that entire line. Windows Registry Editor Version 5.00    [HKEY_CLASSES_ROOT\*\shell\powershell]  @="Unblock Files"    [HKEY_CLASSES_ROOT\*\shell\powershell\command]  @="C:\\\\Windows\\\\system32\\\\WindowsPowerShell\\\\v1.0\\\\powershell.exe Unblock-File  -LiteralPath '%L'"
I hope this helped! Thanks for reading. The “latest and greatest” bits of all Microsoft Products can be found below.